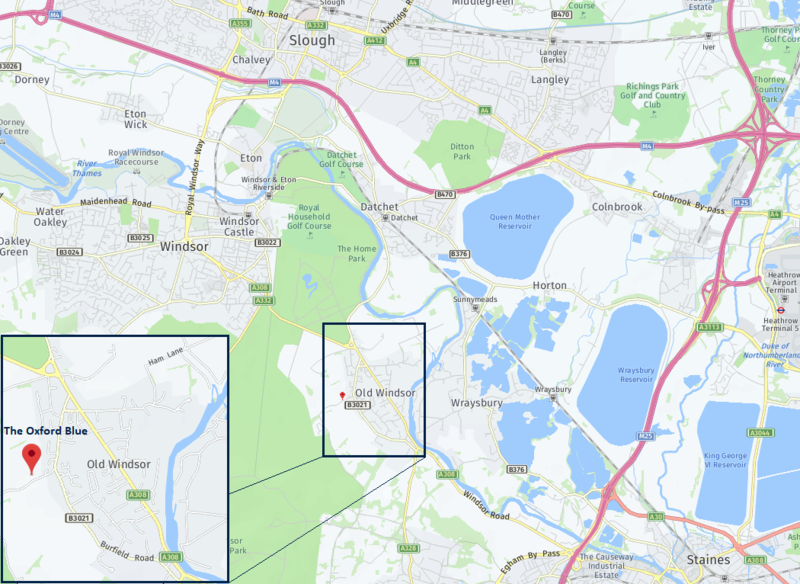 We are located in Old Windsor, which is a short journey from Windsor or a long walk for those that enjoy the Great Park nearby, we look forward to welcoming you. If you are driving then we are just off the A308 Windsor Road which connects to the M25 at J13. If you do not wish to drive the nearest Rail Stations are in Windsor (Windsor & Eton Central or Windsor & Eton Riverside), Datchet, and Egham. (If you mention this when booking we can provide details of local Taxi firms).